There are several factors that make it hard for our skin to stay healthy, such as the pollutants in the city air, strong UV rays in the summertime, lack of moisture during the wintertime, and even regular use of makeup. Therefore, we often need to go beyond our normal cleaning routines to give our skin a treat, with face masks. 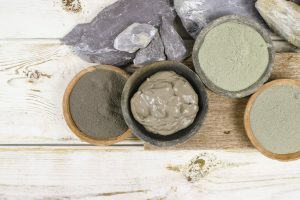 Earlier, our choices were limited to “multani mitti,” but recently, brands like Innisfree, L’Oreal, and Himalaya, have changed the game, and we now have several options. 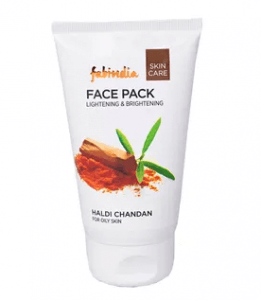 This article will help you choose the best clay mask or clay pack for yourself, and also introduce you to the top 10 best clay masks you can buy online in India. Clay masks may seem really easy to choose as there couldn’t possibly be as many differences between various types of clay masks. 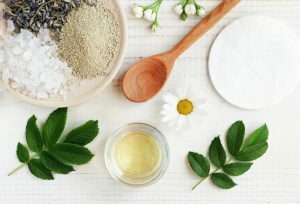 However, contrary to what a lot of us may think, there are quite a few things we must keep, in mind in order to choose the best clay mask for ourselves. 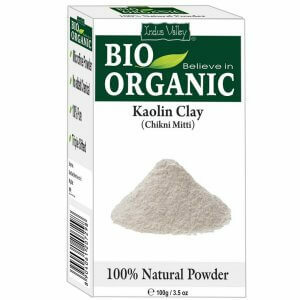 The two most commonly used clay in face masks are Fuller’s Earth or bentonite, which we locally know as “multani mitti,” and kaolin often called China clay. There’s also volcanic clay, which is a relatively new ingredient and is often more expensive than the other two types. They’re all great at absorbing excess oil from the skin and deeply cleansing the skin. 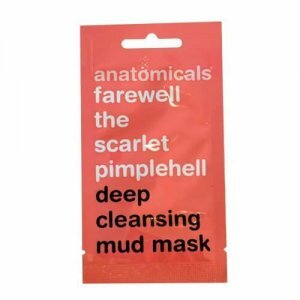 When choosing a clay mask, you must be careful not to dismiss those called “mud masks” as there are several products on the market which are called mud masks but are actually clay masks. Aside from the main ingredient, you must also check what the other ingredients are, as depending on these, the effects of the mask may change completely. Ingredients like honey or milk are known for their moisturising properties, while nuts, sugar, and coffee are used for their exfoliating properties. There are also masks that use lemon as a brightening agent, and some others that use tea tree oil to treat acne-prone skin. However, aside from the good ingredients, you must also keep an eye out for those that aren’t good for your skin, such as mineral oil, preservatives, and artificial colouring agents. 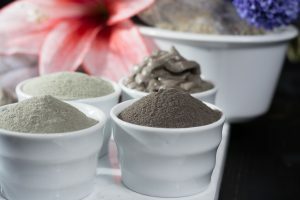 Although clay masks are considered to be more useful for those with oily skin, there are several masks which work well for dull skin or ageing skin as well. Therefore, when choosing a clay mask, you should check what skin type it is recommended for and what sort of effects it promises. Deep-cleansing clay masks are recommended for oily skin types as they remove any extra sebum from the skin; exfoliating ones are good for those with dull skin as they get rid of all the dead skin, and firming clay masks are suitable for all those with ageing skin. 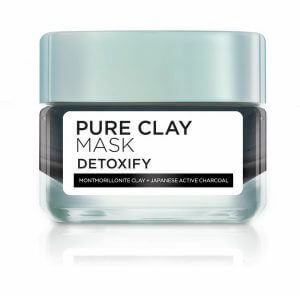 Clay masks come in different consistencies, powder form, solid form, and paste form. You don’t need to do much prep before using the paste form, but for the powder form, you’ll need to mix it with water before applying it to your face. Although, you should also keep in mind that powder and solid forms are usually the purest forms, with no unnecessary ingredients in them, while paste types can often contain lots of side ingredients, which could sometimes be natural, but are usually chemical. Now that you know how you should choose a clay mask, we will give you our list of recommendations for the top 10 clay masks you can buy online in India. We hope you will be able to find one to fit your skin type, budget, and preferred consistency. This is the only product on the list that is suitable for those who regularly travel, and often suffer from dull, oily skin during their trips. It is easy to travel with, and it helps unclog pores, makes the skin smoother, and gives your more glow almost instantly. It is really expensive though, as it only comes in a small pack and can only be used twice. If you’re not looking for a product specifically for travelling with, then we’d suggest choosing another product as there many others on this list which are better and much cheaper for at home use. If you’re looking for a natural way to deal with excess oil and sebum, then this is the product for you. 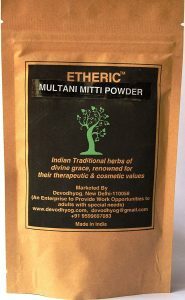 It is pure multani mitti or Fuller’s Earth in a powdered form, which can be turned into a paste using rose water, to help prevent acne, slowly fade blemishes, and make the skin softer and brighter. However, since it is in a powder form, you will need to create a paste before you can use it, and since it is 100% natural, results will be slightly slower. In addition, it does not contain any other ingredients either, which makes it even harder to see any immediate results. This affordable mask is basically powdered Kaolin or Chikni Mitti in its purest form, free from all chemicals and parabens. It is recommended for those with really oily skin as it controls excess sebum and oil production, reduces hyperpigmentation, decreases blackheads, and prevents acne. 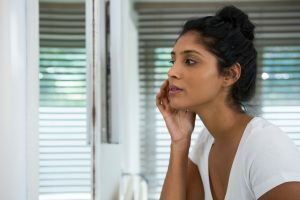 On the downside though, since it contains no other ingredients, it can only do so much for the skin and may seem a bit of a waste if you don’t have the above-mentioned troubles. It is also unsuitable for those with normal to dry skin, as it will be too drying from those skin types. 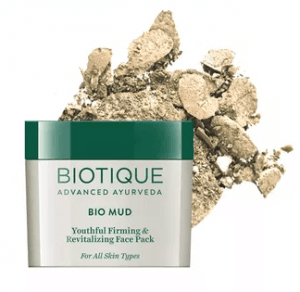 This mud mask is recommended for those with oily skin, as it controls the secretion of excess oil, helps reduce acne, and makes the skin feel smoother. It also minimises the appearance of pores and feels cooling on oily to the very oily skin, which is why it is especially great during the summer months. Although it seems inexpensive initially, there is not much product in the tube and the formulation is quite watery, so you’ll need to repurchase much sooner than you’d expect. Additionally, those with sensitive or dry skin should avoid this mask as it may cause a burning sensation when used, and leaves the skin too dry. This affordable mask is recommended for those who want to minimise the appearance of pores, firmer skin, and a glow from within. The turmeric acts as an anti-bacterial agent to purify the skin, sandalwood gives the glow, and multani mitti helps make the skin firmer and controls excess sebum production. Despite all these positives though, there are a few negatives, one of the biggest ones being that this product may or may not work on sensitive skin, as it can be too much for sensitive to handle together. Another con is that it’s not a very exfoliating product, so if you’re looking to remove dead skin cells, then this isn’t the one you want. This is an inexpensive option for those with oily, acne-prone skin, who want to make deep-cleanse their skin and unclog their pores. Aside from clay, this mask contains almonds, which are a great source of vitamin E and also allow you to gently exfoliate the skin. If you use this mask regularly, it’ll help make your skin glow more as well. However, it does take a while to show results, so if you’re looking for immediate results, then this is not the mask for you. Furthermore, it has a very strong scent and stings a little, so it is not recommended for those with sensitive skin, and since it is quite drying as well, it is not the best option for those with dry skin either. 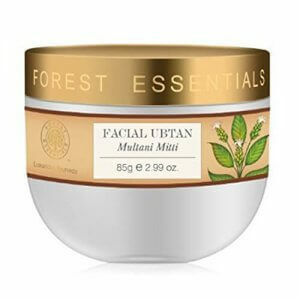 If you’re in the mood to treat your skin to a luxurious ubtan, then get this is the product for you. 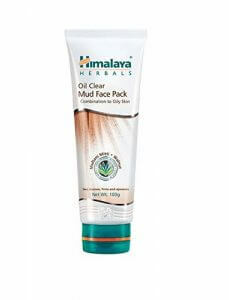 It is recommended for oily, sensitive skin as it contains several amazing ingredients, such as neem for purifying, fenugreek for soothing inflamed skin, turmeric for its antiseptic properties, and multani mutti to remove excess oil and sebum. Although it is great at clearing blemishes, prevents acne, and minimises the appearance of pores, it is quite a pricey product, so this isn’t for those who’re looking for economical options. Additionally, it is in powder form, so you would have to add rose water or yoghurt to it to make a paste, which may not be appreciated by everyone. This mask is recommended for those who live in areas with high levels of pollution, due to which their skin has become dull and lifeless, and needs to be rejuvenated. It helps to detoxify the skin, which in turn, reduces blackheads, whiteheads, and acne, and leaves the skin feeling fresh. Although it seems like quite an expensive product, it is a worthwhile investment, especially for those with oily yet sensitive skin, as well as those with dry skin. The results will show from the second use itself, as it’ll give you a glow from within, so go for it if that’s what you’re looking for! 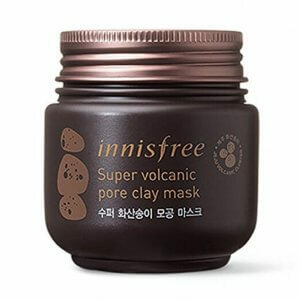 Made with Jeju volcanic clay, this mask is great for calming and soothing the skin and is especially recommended for oily skin types with large pores. It helps minimise the appearance of pores, and it also gently exfoliates the skin to remove any dead skin cells and unclog the pores. Moreover, it is suitable for sensitive skin as well, and it controls excess oil secretion, which helps decrease blackheads, whiteheads, and acne. It has a lightweight consistency, and a little goes a long way, so even though it seems expensive initially, its cost per use is actually not that high! 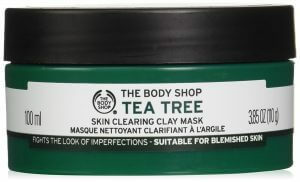 The best clay mask on the market, it contains tea tree oil in addition to clay, which helps purify the skin and keep it healthy. It is recommended for those who suffer from breakouts regularly, and need something to not only manage the excess sebum but also to fade the blemishes, even if the results take a while to show. It is suitable for those with sensitive skin as well, and although it tingles a bit, it does not irritate the skin in any way. On the contrary, it provides a cooling effect, which makes it especially great to use during summer. Additionally, since you get a pretty big tub, it lasts for a few months, even if you use it twice a week! Clay masks are a natural and effective way to tackle acne and blemishes and are therefore particularly great for oily skin types. There are also several products that go beyond merely absorbing excess oil, but also help minimise the appearance of pores and make the skin brighter. We hope after reading this article, you are now aware of all the points you must keep in mind, in order to choose the best clay mask for yourself. We also hope that our list of recommendations for the top 10 clay masks made it more convenient for you to get your hands on one!